This is the era of the chef star and the spotlight on the recipes and the exclusive menus they offer. Guests on television, stars of TV series and guests of honor at major events, have won a media power that seems destined to grow again. Like the strength of their messages and the tone of voice, always higher and able to go beyond the confines of the restaurant. A responsibility that more and more chefs live as a stimulus to improve and improve and that pushes them to launch messages that deserve to be heard. We can do it from 15 to 17 April at FoodExp. food life experience. The event will be held in Lecce in the fifteenth-century dwelling Torre del Parco, monument-symbol of the city. 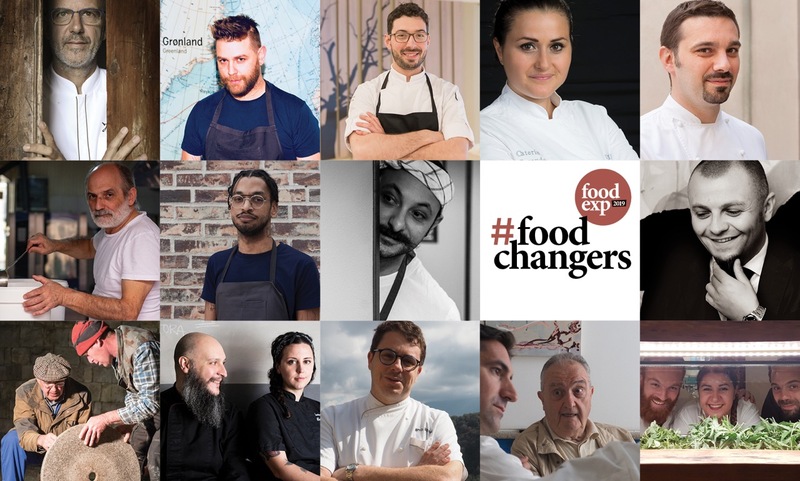 The theme of the event is #FoodChangers, places and cooks that change the world. This three-day promises to be full of ideas, proposals, stories and visions. For this time the showcooking will be put aside, leaving room for reflections that aim to create new bonds, trigger a collective growth and give space to good intuitions. Food becomes the tool to create a new responsible community sby giving a further stage in the ideal trajectory that unites the fight against waste and food insecurity of Food for Soul by Massimo Bottura and Lara Gilmore, alle research to protect the Amazon forest and the indigenous peoples of Mater Initiative with Virgilio Martinez. Cook the mountain and Cookin'Med, the projects put in place by Norbert Niederkofler in Alta Badia and by Pino Cuttaia in Sicily, the cooks-guardians of the mountain and the sea. To dream of a more hospitable, sustainable and good world, Aimo Moroni (Il Luogo di Aimo e Nadia, Milan) which brought raw materials of peasant memory into high cuisine, Corrado Assenza (Caffè Sicilia, Noto) the innovative pastry chef who uses the fruit and vegetable sugars Riccardo Canella is David Zilber (Noma, Copenaghen) who work alongside Renè Redzepi in the search for New Nordic cuisine. Also present Franco Pepe (Pepe in grains, Caiazzo) that has given birth to a small town thanks to its pizza, Josko Gravner (Gravner wines, Oslavia) that has focused everything on natural wine, Vincenzo Donatiello (Piazza Duomo, Alba) voice of the kitchen of Enrico Crippa. Space also to the renaissance of Calabrian cuisine as Nino Rossi (Qafiz, Santa Cristina d'Aspromonte), Antonio Biafòra (Biafora, San Giovanni in Fiore), Caterina Ceraudo (Dattilo, Strongoli) e Luca Abbruzzino (Cava cuculera noble). Between foodchangers also Valentino Palmisano (Vespasia of Palazzo Seneca, Norcia – Perugia), the chef-symbol of the reconstruction of Norcia e Diego Rossi (Trippa, Milan), Francesca Barreca and Marco Baccanelli (Bouquet, Rome),Vincenzo and Francesco Montaruli (Mezza Pagnotta, Ruvo di Puglia – Bari), authors of the new Italian trattoria.